Once again the ski season is with us and the statistics demonstrate that a significant number of British holiday makers will suffer some sort of skiing injury and 1 in 4 of those not be able to continue boarding or skiing for the rest of their holiday. With the February half term holiday being one of the most popular times for a skiing holiday and the slopes being extra busy especially with youngsters we thought some tips on how to avoid ski and boarding injuries could help more people enjoy their holiday time to the full! In addition the snow conditions are somewhat precarious this year with extensive snow fall some weeks and bare patches soon after which makes safe skiing or boarding even more difficult. For skiers it is usually knees. For boarders in softer boots and fixed bindings it is more often face, shoulder and wrist injuries from the impact of a forward fall. Increased technology in skis and boots can help our technique and comfort but some experts believe we are now at MORE AT RISK OF KNEE INJURIES. Previously, a slow fall was the danger as there was insufficient force for the bindings to release but some believe that the curved edges of modern carving skis have created a new problem. Instead of sticking or dragging against the snow, as the old parallel-edged skis used to do, the carver’s edge catches the snow and steers the ski away from you, twisting your knee as it goes. So here are our 10 Tips for an injury free snow holiday- and what to do if you come home injured. Skiing and boarding uses muscles in a way we don’t do on land. Get quads and hamstrings strong and calves stretched. General cardiovascular fitness is important-especially as altitude makes any exertion even harder and reduces the oxygen supply to your lungs and muscles. Ensure your boots and skis or board are suitable for your ability and most important-have your ski bindings adjusted correctly. This helps your skis come off at the RIGHT time. Always attach your snowboard safety line to prevent a runaway board! The commonest injuries are to the wrist, shoulder and head. The risk of sustaining a fracture is at least twice that of skiers. It is probably a while since you last skied so get into practice on some easy runs and get your turning technique before heading for the double blacks! Weak, tired muscles give less protection to the joints and make them more prone to injury. So if you feel tired have a break or head home- or it might be your last run of the holiday. Never good-especially on the first day! Plastered around all ski resorts, and sometimes printed on the back of your lift ticket, are simple, common-sense rules to follow when on the mountain. For example, ski in control so you are able to stop and dodge others; give people downhill the right of way; look up before you merge onto a trail; and never rest in a blind spot for other skiers. Follow these rules, and you’ll have a better chance of not getting hurt. Getting on and off the lift is prime time for getting injured if you’re not paying attention to how it works. Lift usage is included in the skier code. Statistically the first five metres after you get off a chairlift are the most dangerous on the mountain! No matter what standard you are consider a lesson to sharpen your technique and prevent bad habits. If you have the piste skiing sorted pistes try a powder lesson. No matter how good you are there is still something to learn. 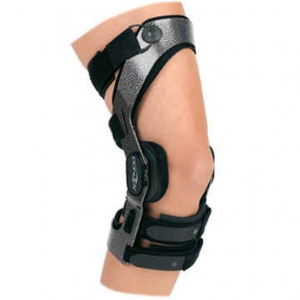 If you have already sustained an ACL injury and/or undergone reconstructive surgery, consider wearing a hinged knee brace. Get advice from your physio as to which ones are the most appropriate for your injury. 10) If you have any problems when you return. Come to us for a physiotherapy assessment for expert advice as to what you have injured and the most effective treatment. This helps to prevent long term problems especially if misdiagnosed. Snowboarder’s ankle” – this is a fracture of the lateral process of the talus bone in the foot and is very important as it can lead to long term arthritis if undiagnosed and not treated correctly. It resembles a bad ankle sprain and one major problem is that most doctors outside of ski areas will never have heard of it!! If you have persisting pain in your ankle 7 days or more after an injury from boarding this is a possible reason! 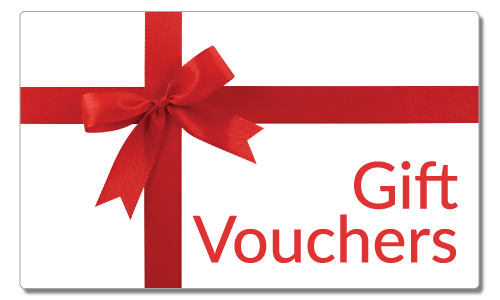 If you or your family have an injury or pain that you want help with then call us to book a FREE Injury Assessment from the team at Physio-Answers – this voucher will entitle you to an injury pre- screening and report from one of our highly trained health professionals – don’t let pain slow you down – get an assessment today.